Selling my roof rails, cross rails, winter tires and ski box. 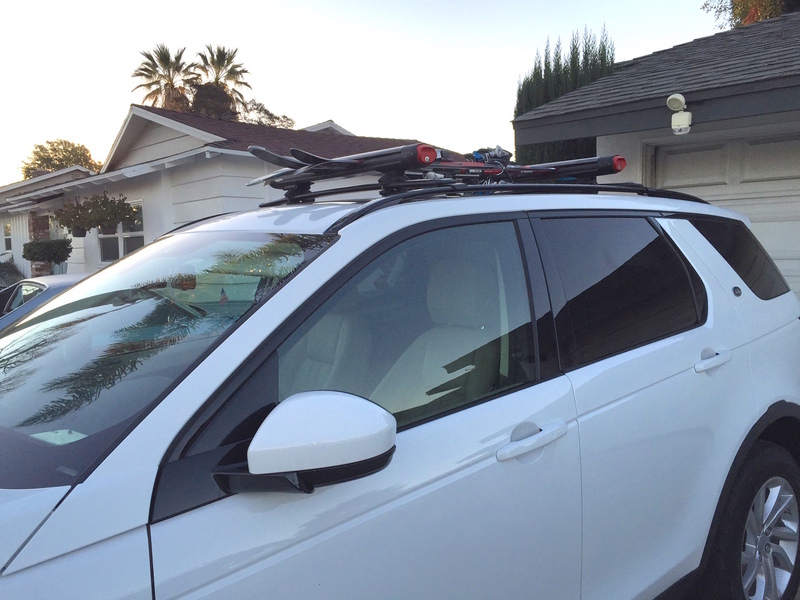 Rola cross rails with ski rack & faring Rola cross bars with Yakima FatCat 6 ski / snowboard rack and wind fairing. Thule / Mercedes long roof box - 330 liters - lockable for luggage, oars, fishing poles, longarms: Thule Mercedes 81200 PM ski box roof anchor T channel. After three years of ownerships would you lease/buy another Discovery Sport? I'm one year into my SE model lease and am considering installing a roof rack. A trailer hitch would be handy too, but it's way overpriced. After 3 years with the first year model iteration - no. The newer generation 2017+ DS is much better - my dealer had me test drive a newer Ingenium engine DS and found it behaves more like a Jag F Pace or Evoque with a peppier engine. I would get a newer DS is they had a diesel option or PHEV. On and off road traction is amazing and I love how the torque vectoring keeps you gripping around corners, especially power turns. The alignment has been 100% amazing - in my past 10 vehicles, I have never seen a car that maintains alignment (camber, caster, toe) even after going over rocks, boulders, curbs, hitting sidewalks and popping up on them. 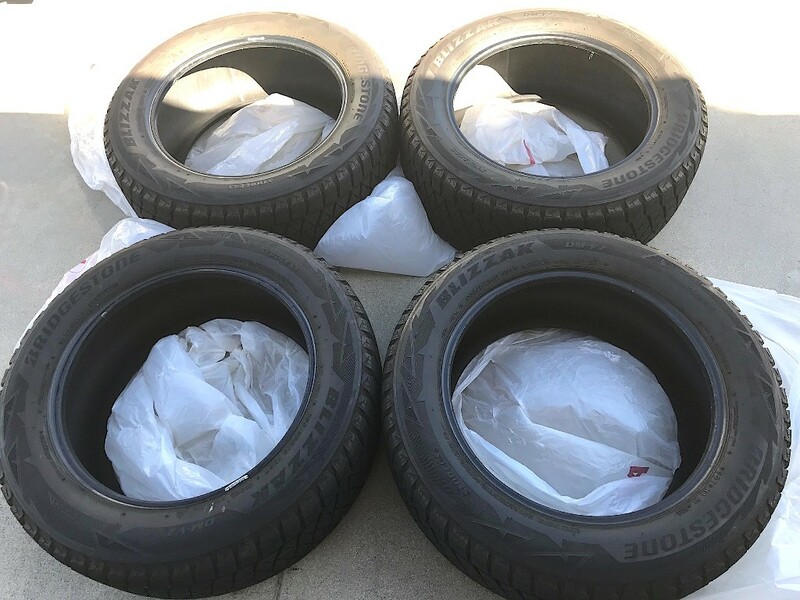 My winter tires I have for sale are a testament of maintaining alignment even after the Land Rover Experience off road course, off roading in the local mountains, and taking shortcuts over curbs. NOTE: just sold the Thule / Merc ski box. SOLD: Blizzak tires & Thule roof box. Still available for sale: Factory Roof rails and Cross bars. I'm interested in the roof rails and cross bars. Are they still available? I know this is old af but do you still have the rails and if so how much? Thanks!